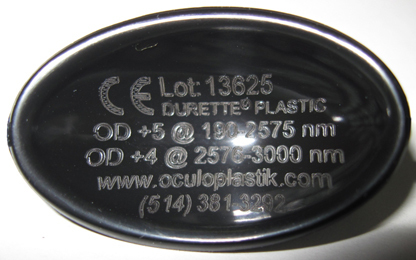 Durette Plastic Externals – Oculo-Plastik, Inc.
Like the Durette® III, but all in plastic. Not autoclavable. Now in 2 styles, original size in black and white and new larger and thicker Black Durette II plastic. Ball and socket design. Light emitted by ﬂuorescent lamps, bright LEDs or dichroic ﬁlament bulbs. Visible violet light in the range of 405-420. Light therapy for skin conditions like psoriasis or eczema, which use UVA or UVB phototherapy. 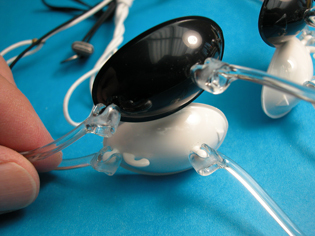 Light therapy by red and / or near infrared (NIR) LEDs. Photodynamic Therapy (PDT) light sources. Narrowband Light emitting Diodes (LEDs) – Optimized, via a matrix of LEDs. They SHOULD NOT BE USED with lasers that irradiate a coherent light beam (spectral irradiance of any wavelength) or any flash lamp or IPL system that operates in burst modes that comprise multiple trains of pulses. They should not be used with high-power, spectral irradiance in the UVB and UVA wavebands or any other spectral irradiance energy or light source.Use the color black or white according to the output wavelength / waveband of your machine. The black eye shields provide a wider range of coverage than the white. 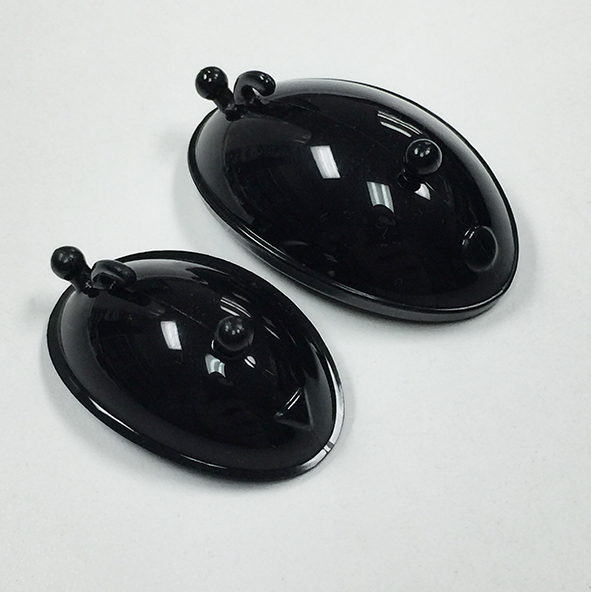 Black Durette® II Plastic external shields. Complete exposure of the glabella, nose and crows’ feet. without affecting proper shields’ position. •Black or white plastic small external shields with mobile clear plastic attachments. •Black shields come with black elastic and white shields come with white elastic. Durette® Plastic external shields. Smallest original design. Black Durette® Plastic II external shields. Newer design is larger, thicker and with more blunt edges. For an added protection. All with mobile clear plastic attachments. Includes 1 assembled pair external plastic shields. Total parts comprise 2 plastic cups, 1 nasal and 2 temporal plastic attachments, 1 elastic headbands and a storage case.